Remember when President Trump spilled highly classified intelligence to Russian officials in the Oval Office? We now have a report on what kind of intelligence Trump shared. The extremely sensitive info was about ISIS plans to hide bombs in consumer electronics. And it came from Israeli cyber specialists who infiltrated a group of bombmakers in Syria. 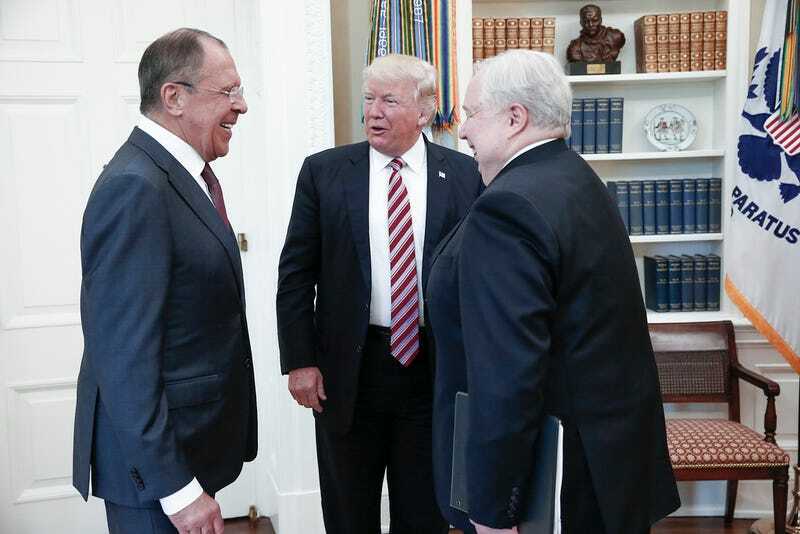 President Trump took a lot of heat for inviting top Russian officials, Sergey Lavrov and Sergey Kislyak, into the Oval Office on May 10th, just one day after firing FBI Director James Comey. Trump later admitted that he fired Comey because of the Russia investigation. But the intelligence community was even more outraged when they heard that Trump shared top secret intelligence with the Russians. It was later revealed that the intelligence was Code Word classified, a step even beyond top secret. And it was also revealed that the source of the intelligence was Israel. Vladimir Putin even trolled US intelligence by offering to make transcripts of the Oval Office meeting public. But according to a new report in the New York Times, we now know that the intelligence was specifically about ISIS attempts to place explosives in electronic devices like laptops. And that it came from an Israeli source that had infiltrated a Syrian bomb-making group online. The ISIS-affiliated group was reportedly making bombs to look exactly like laptop batteries, sparking the concern about the adequacy of airport security standards. Israel has even reportedly changed how it shares intelligence with the United States as a result of the incident, though we don’t know much about the details. But it’s hard to imagine that intelligence gathered about ISIS would be helpful anyway if our own president can’t help but share it with the world. Again, not only is Trump an idiot, but he’s legitimately a risk to the safety and security of the United States at this point.